This rare, well-documented lounge chair was designed by the French designer René Coquery and produced by Thonet in 1929-1930. The tilted frame is made of bent, welded and chromed tubular steel. The very comfortable deep sprung-upholstered seat and backrest are covered in the original stone grey fabric. Also published in Ostergard’s book is an archival image of the Thonet Paris catalogue, showing the armchair in an office and library designed by Emile Guillot. In this room, the chair was combined with other tubular steel furniture designs by Charlotte Perriand and André Lurçat. 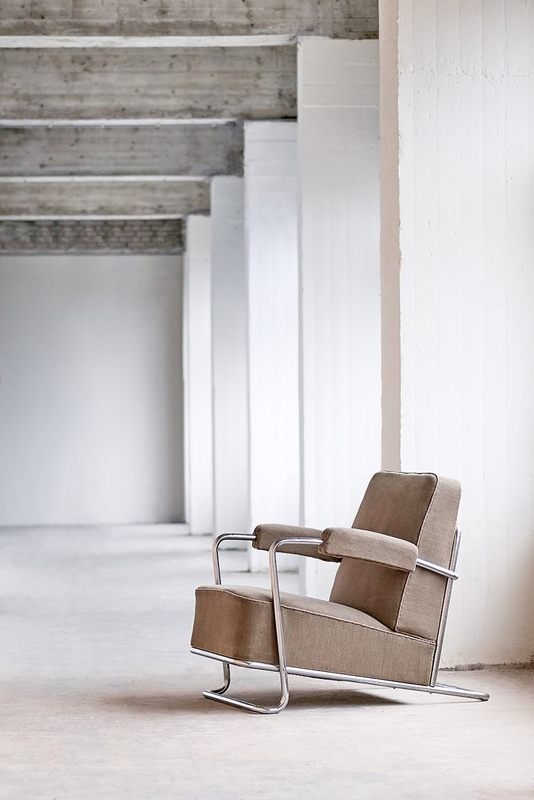 The chair is part of the permanent collection of the Stedelijk Museum in Amsterdam. Provenance: Mr. R.A. Hoogland, a medical practitioner in Utrecht, the Netherlands. 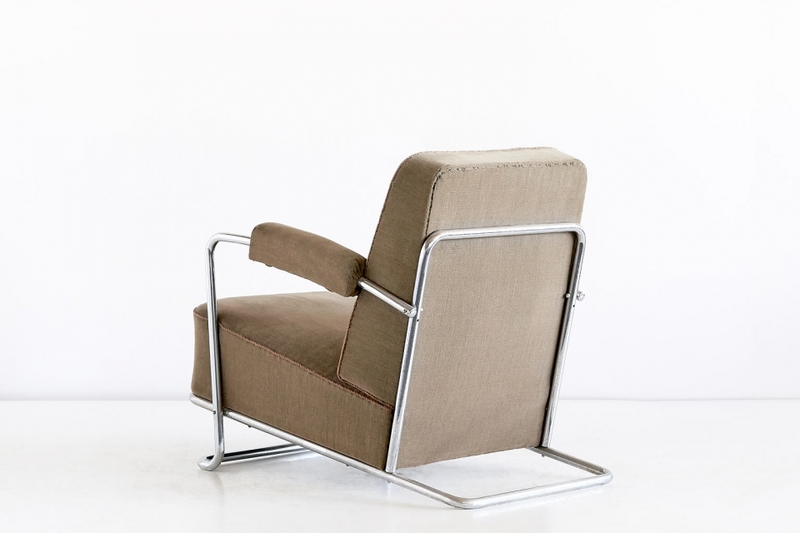 Gerrit Rietveld was a friend of Hoogland and offered him advice regarding the furnishment of his family home and medical practice, including a preference for Thonet’s tubular steel designs such as Mies van der Rohe’s MR 534 chair and this Coquery armchair. Condition: Very good. Fully original and beautifully patinated condition.